A horrific tragedy brought them together, but it’s their undying love that will make sure they never part. 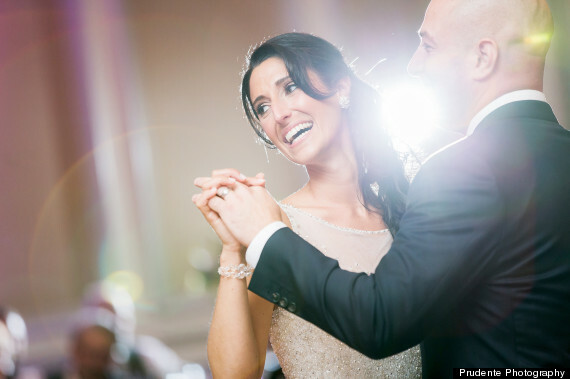 On Saturday, James Costello, who was seriously injured in the 2013 Boston Marathon bombings, married Krista D'Agostino –- the nurse who helped him through his recovery, according to a statement released by the Hyatt Regency Boston. Their dream day came after enduring unimaginable pain. 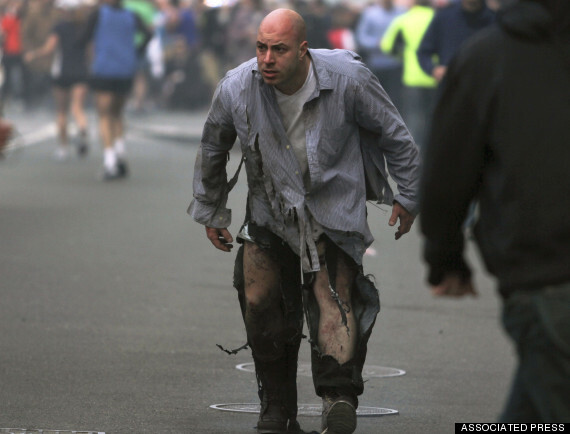 In one of the most widely distributed photos of that fateful day, an ashen Costello was snapped staggering away from the carnage after two bombs had exploded at the Boston Marathon. Watching the annual race was a years-old tradition for the Malden, Massachusetts, resident who was there last year to support a friend, the Associated Press reported. Costello plucked two rusty roofing nails from his stomach at the scene, and was riddled with shrapnel and suffered burns so severe, he eventually needed pig skin grafts on most of his right arm and right leg. In the immediate aftermath he feared he was dying. 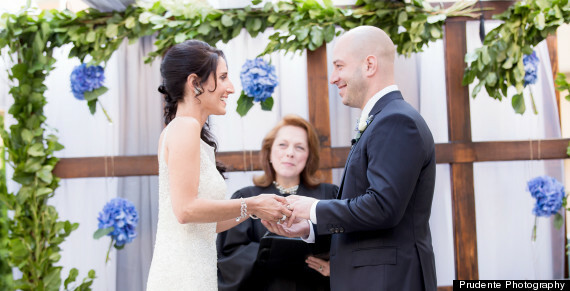 The groom underwent multiple surgeries at Massachusetts General Hospital, where he remained for about two weeks, before transferring to Spaulding Rehabilitation Hospital, according to WCVB. That’s where he met the love of his life who was working a six-week temporary stint as a traveling nurse. She helped him get through months of surgery and painful rehabilitation. The circumstances were awful, but Costello was soon able to appreciate his good fortune. "I’m actually glad I got blown up,'' Costello said on the "Today" show last December after the couple had gotten engaged. "I wish everyone else didn’t have to, but I don’t think I would have ever met her if I didn’t, so I’m pretty happy." all-expense paid "Heroes Cruise" in France with other survivors and first responders, WCVB reported. The two became Mr. and Mrs. on Saturday at a Nantucket-themed wedding at the Hyatt Regency Boston where many of the services -- including the venue, photography and dress -- were donated by top vendors. the Semper Fi Foundation, a group that supports injured post-9/11 members of the U.S. Armed Forces, according to a press release. The couple continued their celebrations on Tuesday when they headed out to Hawaii for their honeymoon. "There is no more deserving couple," said Philip Stamm, general manager of Hyatt Regency Boston. On Aug. 23, James Costello, who was severely injured in the 2013 Boston Marathon attack, married Krista D'Agostino, a nurse who helped him get through months of surgery and painful rehabilitation.